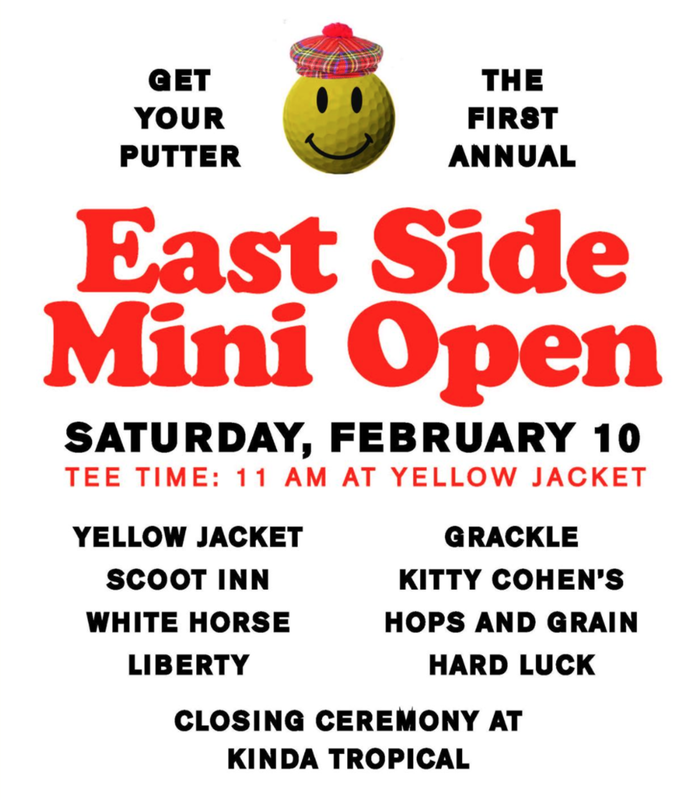 Description: The first annual East Side Mini Open, putt for paws will be on February 10th!! Nine of your favorite East Austin watering holes will be hosting an 18 hole mini roving golf course! Each venue will be creating their own putting greens and competing against each other for “most unique hole”. Venues: Yellow Jacket Social Club, Historic Scoot Inn, The White Horse, The Liberty, The Grackle, Kitty Cohen's, Hops and Grain, Hard Luck Lounge, Kinda Tropical.